The 2016-17 annual schools census report for the province of Sindh, launched by the provincial education department, encompasses an array of parameters that assess academic standards, enrollments and other services of schools in Sindh. One of the many interesting features of the report is the statistics it shows on the number of government schools in the province, which indicate a yawning variance in the number of primary and higher secondary level schools. According to the census, 89.9%, of the total 42,383 schools in Sindh provide only primary education. Schools that provide education beyond primary level only amount to 6%, i.e., 2,241 schools in the entire province. More specifically, there are 1,719 secondary schools and 291 higher secondary educational institutions in Sindh. The Umerkot district only hosts 141 middle to higher secondary schools, while there are 1,887 primary schools in the district; providing education services to 92,416 students in the district. In comparison, the students from class six to college level total about 25,000, which is less than 30% of the strength at the primary level. shared Muhammad Luqman Noori, District Coordinator, Local Support Unit, Education Department. Luqman Noori has been working in the education department since 2013. He confirmed that the Sindh government had initiated an Education Management Surveillance System. In this system, the data of all the school registered in the district is collected and saved online. The system is updated annually and most of its data is currently available online. Moreover, a model school concept has also been introduced to ensure the effective manageability of over 40,000 schools in the province. According to this model, the education department has identified 4,560 schools; those that have a reasonable enrollment, more than two teachers and at least two to three rooms in a building. The education department is working actively on further improving the infrastructure and education quality of these selected schools to gradually improve the education status in Sindh. Out of the 4,560 schools, 151 schools are established in Umerkot. To promote girls education, a stipend system is introduced for girls studying between grades 6th to 10th. All girl students are entitled to a stipend of PKR 3500 per annum, upon enrollment in any local village school. This activity has encouraged girls to continue their studies through middle and high school. Despite these reforms and other initiatives undertaken by the education department, there is still a long way to go to meet international standards of education in the province. expressed Dwarko Mal, District Education Officer, Primary School Umerkot. Dwarko further explained the common practice of early age and child marriages prevalent in many of the villages in the district and other areas of the province. With such customs still predominant, young girls are burdened with countless household and family responsibilities, leaving no time or priority to education and other ambitions. Majority of the girls here only study till 5th Grade also because there are hardly any elementary and high schools in many of the villages here. Parents are very reluctant to send their daughters to travel long distances to attend middle or high school due to security and cultural issues. Some parents believe that the sole purpose of a young girl’s life is to be married and to take care of her husband and children. There is a dire need for awareness building for parents to overcome such thinking and allow girls to avail higher education. Dwarko also pointed the overall shortage of girl schools, especially in the rural areas of Umerkot, as a major contributing factor to low girls enrollment in the area. Additionally, the over numbered vacant teacher positions have lead to a high shortage of teachers in the existing primary and high schools. When teachers are retired, their vacancies are rarely filled. For this reason, some schools do not have appointed teachers. The Girls Education projectⁱ (GEP) was initiated in Thatta and Umerkot districts of Sindh, Pakistan, in 2016, with an aim to improve access to and quality of education for girls. Dwarko Mal and Luqman Noori were invited to some of the closing ceremonies of the teachers’ trainings. At these events they observed the increased confidence and innovation of teachers during group presentations and practical activities. The new methods of teaching through practical activities will inspire students towards learning as children learn fast when they enjoy studying. This project does not focus on girls’ schools; but it focuses on girls as individuals and productive minds. I encourage initiatives as these that support communities by providing resources, services and opportunities instead of just giving cash assistance. The money is mostly taken by the parents and not utilized as planned. The resources, skills and opportunities provided through this project directly affect the students which results in increased learning, increased enrollments and healthy student development. According to Luqman, the teacher trainings have to be a continuous process. Time and teaching methods are changing frequently on national and international levels. With time, more innovative and unique teaching methods and tools are being introduced. For this reason, the trainings of teachers become mandatory to sustain the quality of education. Through the project we have seen that extra curriculum activities motivate students to attend schools and retain an interest in education. Local academic competitions and events such as camps, art or debate competitions, allow students to groom their personalities and exhibit their talents. However such opportunities are rare in rural villages of Umerkot. Extra-curriculum activities will encourage students to come to schools and will make parents proud to see their children involved in local or even national academic competitions. All of this requires resources though, which many of these local schools lack. The procedure of accessing resources and support from government funds is very lengthy and time-consuming. Therefore, i will request for organizations to support schools with our coordination and collaboration. If the government and humanitarian organizations work together, change will come fast with fruitful outcomes. 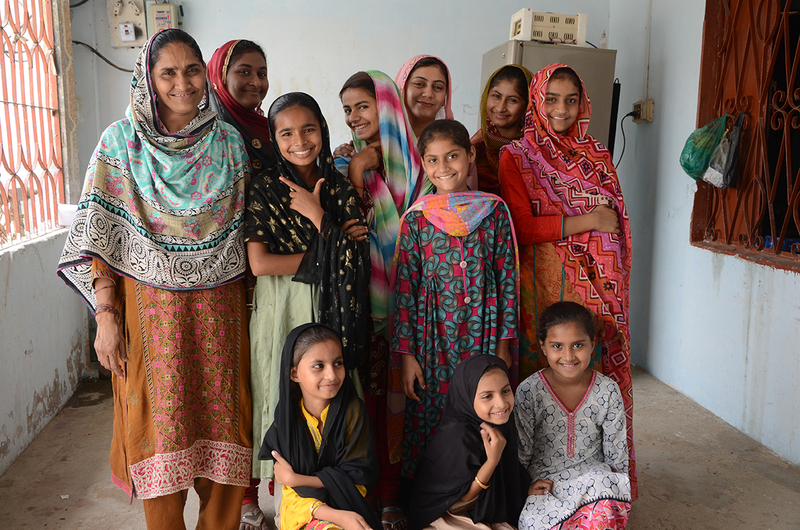 ⁱ Improving Access and Quality of Education for Girls in Thatta and Umerkot project is implemented by Community World Service Asia and supported by Act for Peace.